Zoho Creator - The power to create custom apps.The custom app builder for G Suite. Zoho Creator for G Suite. Flexibility for innovativeness. While G Suite gives you an optimal platform to run your business, database management could still be a troublesome task. From a basic data management app for small businesses to process automation system for enterprises, make apps that suit your custom requirements with Zoho Creator. Transform spreadsheets to effortless apps. Create, customize, convey. Working together with Google Groups. Smart scheduling to steal the show. Transform spreadsheets to effortless apps. Share custom apps with your Google Users. Get your people connected to solve your small yet significant business tasks. 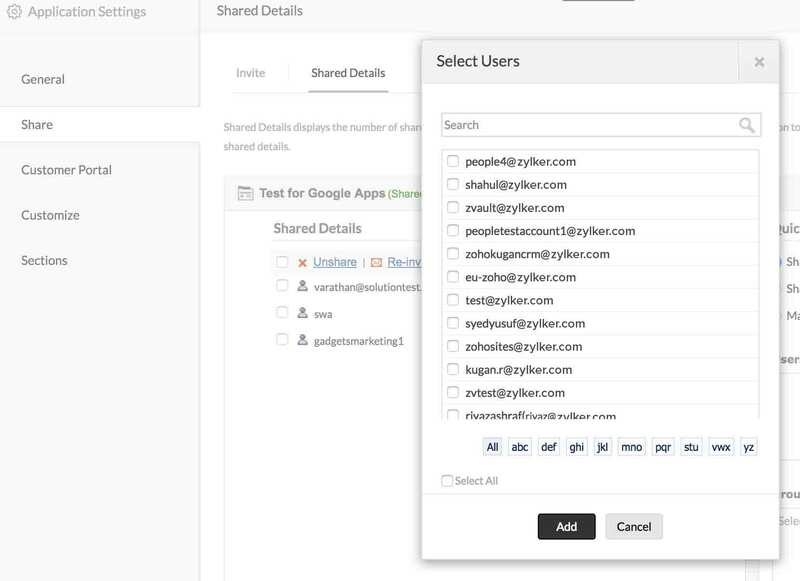 Share the apps or their components to build your online database efficiently. Working together with Google Groups. 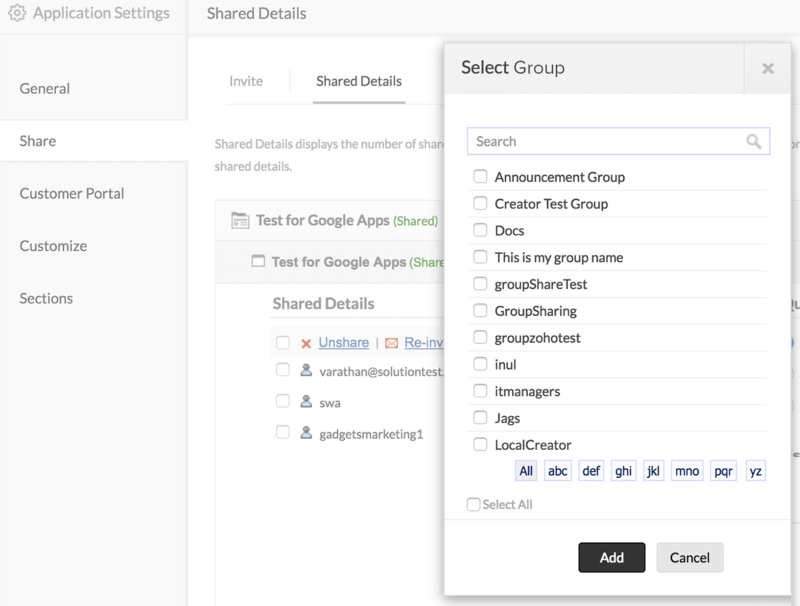 Share an app or its component inside Zoho Creator with your Google Groups. Online databases create smart business processes. Let collaboration be your way to manage business process efficiently. Smart scheduling to steal the show. Can't keep tabs on all your plans and schedules? Push them to Google Calendar with an intelligent app builder. 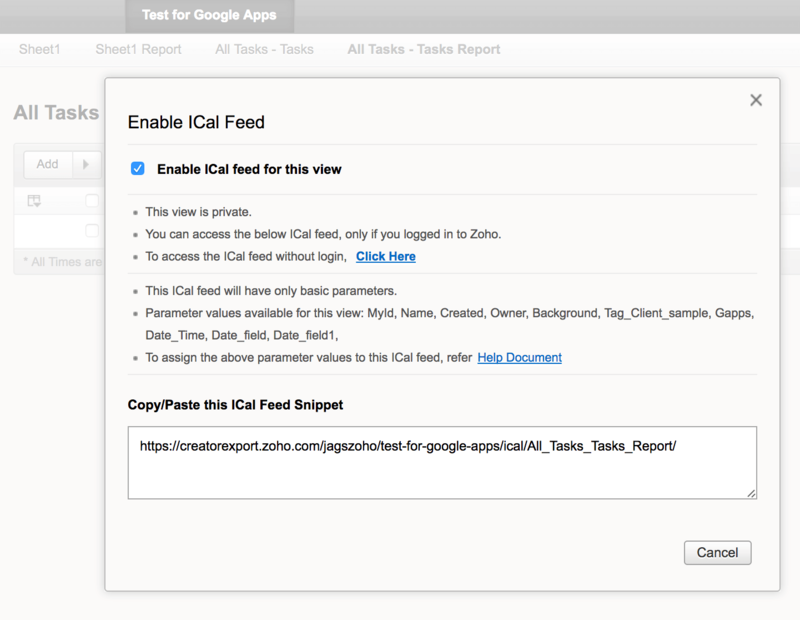 Create events in Google Calendar as users respond to your apps in Zoho Creator. Why choose Zoho Creator and G Suite? With Zoho Creator and G Suite, you can work from your laptop, your phone, and tablet, and create apps for your business from the cloud. With Zoho Creator and G Suite, start creating smart apps on the go. Learn more. Rid yourself of the worry of remembering separate passwords with single sign on. 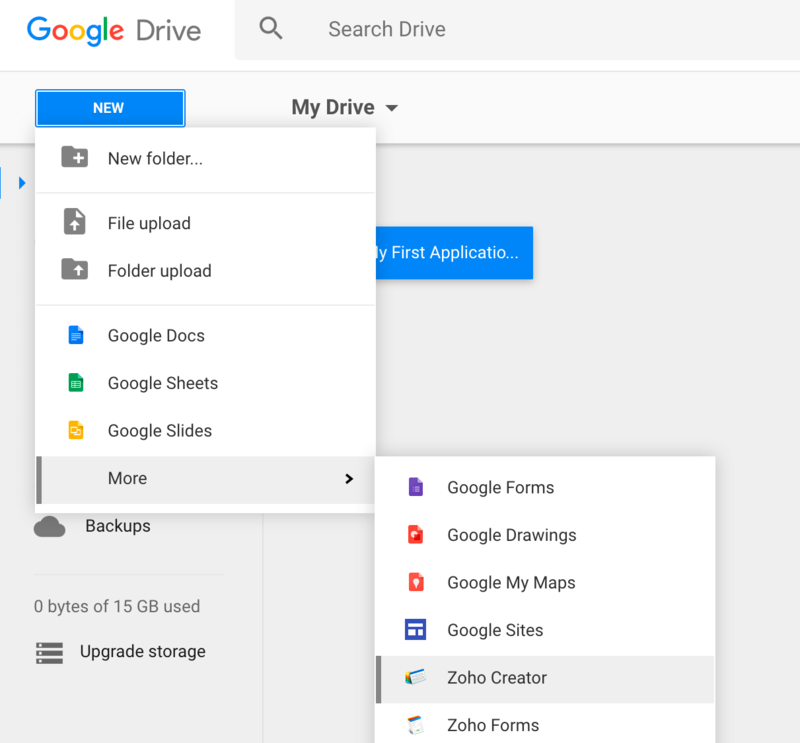 Access Zoho Creator using your G Suite ID. "It's inexpensive and it's very fast, and the support is great. You can grow quickly and as fast as you can as your imagination is. Zoho Creator has been a perfect partner for us." Learn more about Zoho Creator here.